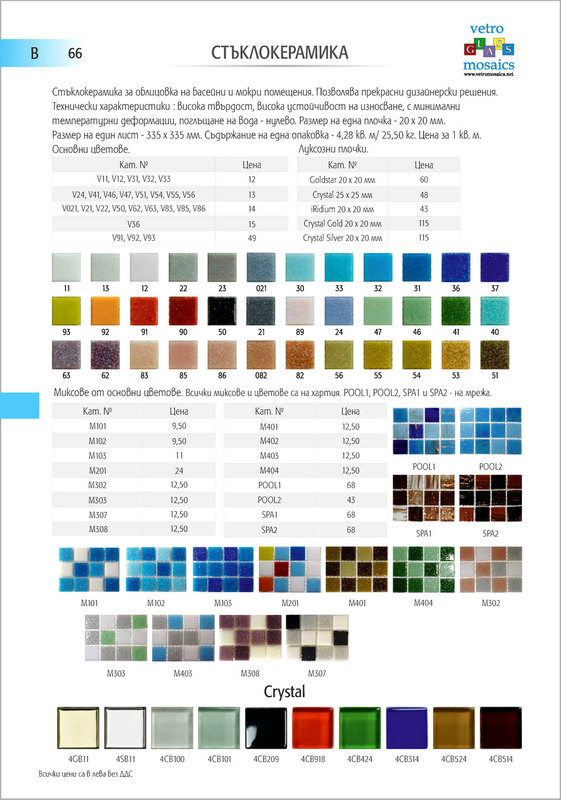 The glass in many colors, available in different color mixes, it is possible to make design decisions. 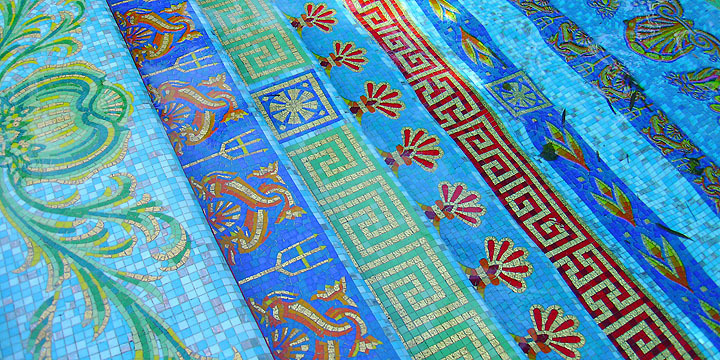 Dalev Co., Ltd. offers manufacturing of individual mixes, panels, iridescent mosaics. An important detail in the construction process is lining. Attractiveness of the pool is determined by its exterior. The wide range of coating materials - friezes, mosaics, staklokeremika allows to create individual and unique design pool which combined with the interior of the room or the garden enhances the taste and character of their owners. All the products you can see here.